BREAKING: Democrats Have FLIPPED The US House!!! - Joe.My.God. Democrats clinched the U.S. House majority, halting Republicans’ eight-year reign as voters delivered a rebuke to President Donald Trump, according to projections from NBC and FOX. Republicans have kept control of the Senate. 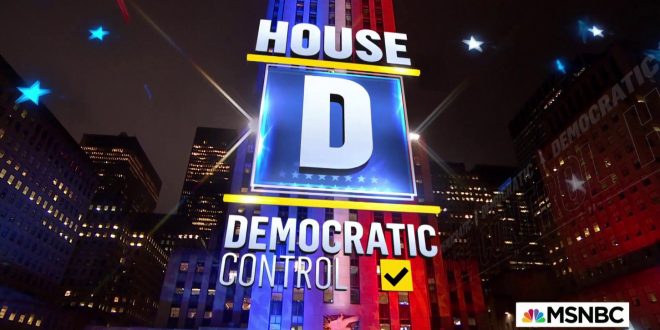 Democrats will likely surpass the net gain of 23 seats they needed to win House control. Democrats plan to launch a string of investigations into Trump ahead of the 2020 presidential election while attempting to strike a deal on increased infrastructure spending. UPDATE II: Fox News spins the defeat. Democrats will take control of the House of Representatives for the first time in eight years, Fox News projects, and the GOP will retain its majority in the Senate, following Texas Republican incumbent Sen. Ted Cruz’s defeat of insurgent challenger Rep. Beto O’Rourke in the most expensive Senate race in American history. While Democrats’ win in the House deals a major setback to President Trump’s legislative agenda and gives fresh hope to liberals who want to investigate and perhaps even impeach the president, the GOP’s hold on the Senate gives them control over all critical federal judicial appointments.